All as expected by the description and photos on the website. 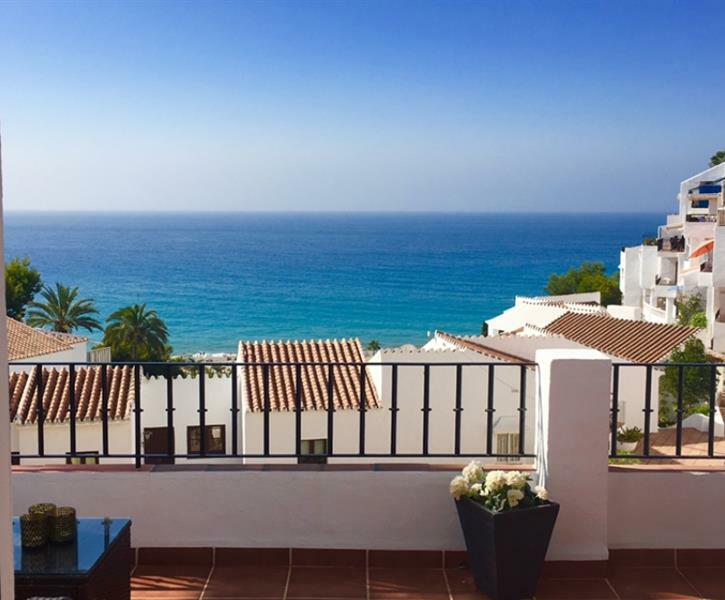 Capistrano Playa is an award winning, peaceful location, set in the hillside overlooking Burriana Beach, the largest beach in Nerja. It is beautifully designed with illuminated gardens, walkways, its own ornamental lake and waterfall. This site provides a communal adult and children's pool. Nerja is about 50 minutes drive from Malaga Airport. The town retains much of its Spanish charm with pretty narrow streets that offer a wide selection of bars and restaurants. It has several beaches and is surrounded by mountains. Nerja is famous for its caves and only 5km from the picturesque white town of Frigiliana making it an excellent base for exploring other parts of Andalusia. Lovely Isabel Madrid is at your diposal during your stay. . Perfect apartment just to relax breathtaking views from a lovely large balcony, close to the beach and restaurants. Clean and tidy apartment not wanting for anything it had everything we needed. Will definitely return. We had a fabulous time in this lovely, comfortable apartment. The shower was perfect, hot water and powerful every time. The best feature has to be the large balcony with its amazing views and all relevant furniture required to spend time relaxing. We had a hiccup with the TV as it didn't have all the advertised stations available on arrival. As it was a bank holiday weekend we had to wait for a few days for an engineer to arrive but all in all a very good place to spend time holidaying. Thank you.